A new development as Jiwon continues to plot to take Bom away again. Yeo-Ri gets a call from the main detective that investigated Yeo-Ri’s father’s case. He tells her that it’s unfortunate that she thinks that her father is dead. Yeo-Ri has no idea what he’s taking about and the caller hangs up. At the same time, Jiwon tells Mooyeol that they need to find another donor since the original match isn’t able to be contacted. He calls Enok and tells her to bring Yeolmae in for testing. Later Gaya’s condition gets worse. Doctor Kim tells the family that they need to find a donor soon. 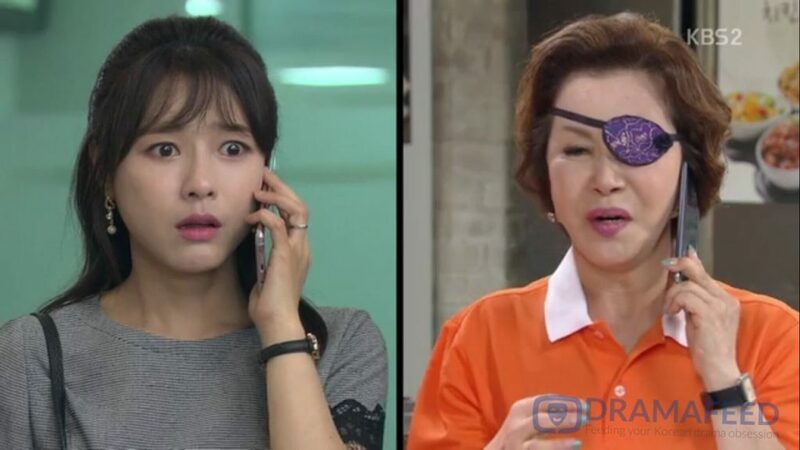 Haejoo cries that they need to contact the marching donor and that she will go. But, Mooyeol and Jiwon keep her from leaving saying that she’s too weak. They promise to find the donor. They also tell Haejoo to keep this a secret from Yeo-Ri. On Yeo-Ri’s side, Kidong calls Yeo-Ri to tell her that they hit a dead end with the anonymous caller. The phone was a burner. Yeo-Ri broods about the weird call. She thinks about how Jiwon had already confessed that she had been at the scene of the Yeo-Ri’s father’s accident but the police officer in charge denied it. Haejoo finds out that Enok and Yeolmae both don’t match Gaya. She asks Doctor Kim about reaching out to the original matching donor. He tells her about how they cannot get into touch with that donor. So, Haejoo runs home to throw a fit. She demands that they bring Maya back immediately. Doyoung offers to go beg Yeo-Ri. However, Jiwon snaps at him to stay out of it. Yeo-Ri would not help them after all that happened…there is no point in asking. On the side, Yeo-Ri and Do-Chi start to search for police officer Oh. 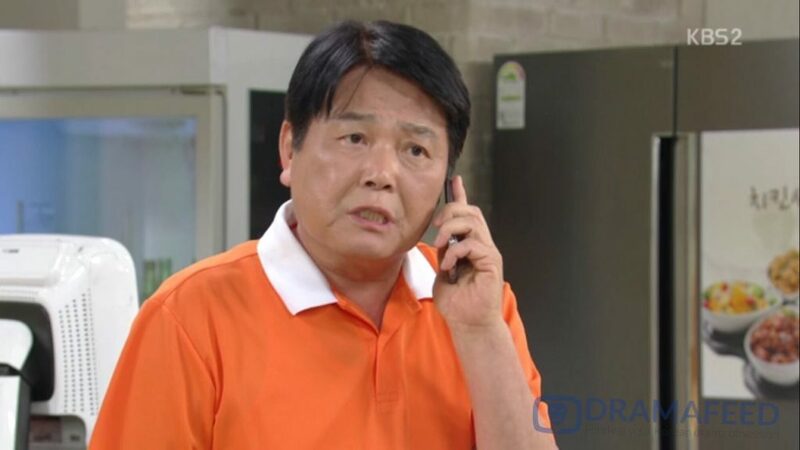 Officer Oh, however, has moved and is threatening Jiwon about telling Yeo-Ri the truth about how her father is not dead. Jiwon goes out to meet him. She yells at him for using unbelievable threats against her. After all, he would go to jail for hiding Jooho. Yeo-Ri calls at that moment to the main police investigator aka Officer Oh. Suddenly, Jiwon realizes the gravity of the threat and takes the cell phone. Jiwon goes home and finds Mooyeol and Haejoo fighting. Mooyeol wants Haejoo to go to a fashion convention in New York to help with the competition against Do-Chi. However, Haejoo doesn’t care anything since Gaya is sick. Jiwon pauses and then tells the two to send Yeo-Ri and Do-Chi. Then, they can bring Maya back. The next day, Jiwon pretends to be friendly in the morning as Do-Chi leaves. She tells him that they are a family and should stop this infighting. She offers grabbing a meal all together to forget the past. Do-Chi smirks. He tells her that it’s funny since the old proverb is that the victim can sleep well but the evil-doer usually cannot sleep with a guilty conscience…Yet, Jiwon seems to live so easily. He sighs and tells her bluntly that logically, the victim is the one who forgives. The aggressor? Yeah, the aggressor has no right to bring up forgiveness. Go! Go! Do-Chi!!!! Yes, someone tell the evil idiots the basic tenets of human decency! Then at work, Haejoo brings the proposal to send Do-Chi and Yeo-Ri to New York. Yeo-Ri and Do-Chi are suspicious that Haejoo would send them. Haejoo lies that it was up to an internal vote and Yeo-Ri was picked by the employees for being the winner of the competition. Meanwhile, Mooyeol goes back to being Jiwon’s dog. He visits Enok’s store and lies that Gaya is at an English camp. Since Gaya and Maya are not used to being separated, he wondered if Enok could suggest to Yeo-Ri that they send Maya to the same camp. Enok happily agrees and meets with Yeo-Ri to ask. Yeo-Ri agrees to think about it. She goes to the chicken shop where Bom is also moody because she misses Gaya. Yeo-Ri sighs and decides to send Bom to see Gaya. Yeo-Ri drops Bom off with Enok to take to the English camp and leaves for the airport. Then, Mooyeol arrives to take Bom. At the same time, Oliver drops by Maryun’s place with watermelon to share. Kidong tells Oliver that Oliver missed Yeo-Ri and Bom as one went to New York and Bom went to visit Gaya at the camp. Oliver pauses. He remembers overhearing Enok and Mooyeol discuss how Gaya was severely ill. He would be in a hospital not a camp. The group realizes that this was all a trap and quickly calls Yeo-Ri. Yeo-Ri is just about to go through security when she picks up and hears about the fact that there is no English camp. Confirmation that Yeo-Ri’s father is alive! Wait! What?! I did not expect this twist. Then again, it’s understandable that we need some kind of miraculous plot device to let the characters know that Jiwon is Yeo-Ri’s biological mother. I am curious as to how the revelation and reaction will play out. In the 70+ episodes, Jiwon is never known mentioning her daughter or missing the child. 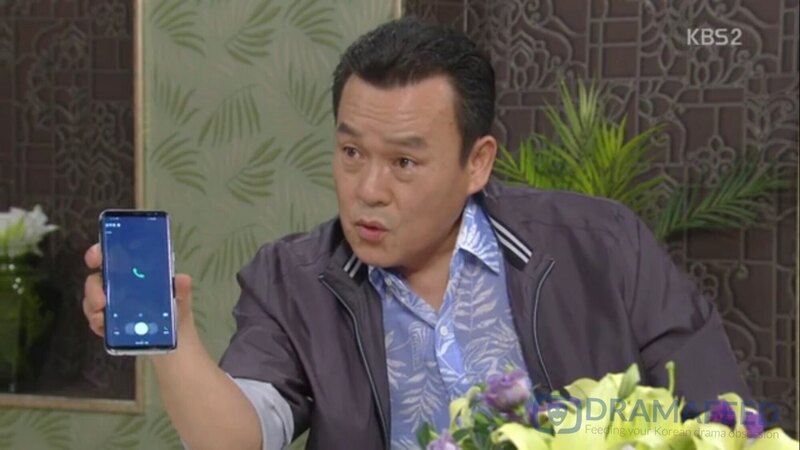 Therefore, it could be a bit fake if suddenly Jiwon becomes overcome with guilt for evilly ruining her own daughter’s life… The show also owes us an explanation on why Jiwon gave her daughter up for adoption in the first place and who is Yeo-Ri’s biological father! Unknown Woman Episode 74 Recap by DRAMAFEED | Copy & Paste Guidelines – Always put a link back to the source.